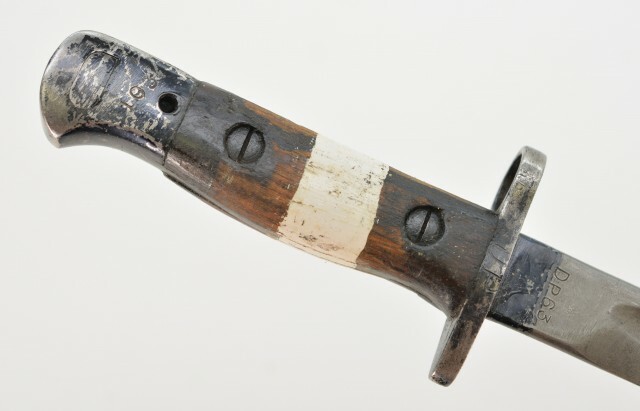 Description: Indian bayonet is made from a 1907 pattern bayonet with the blade shortened. The difference between a No 1 MK 1* and a two star is the two inch false edge at top of tip. 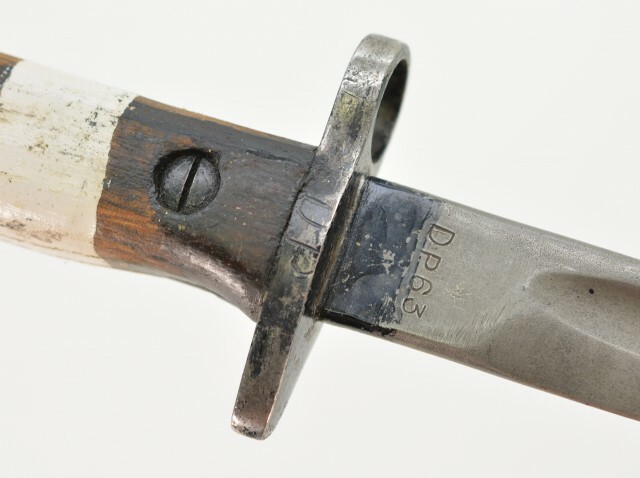 This bayonet has a band of white paint on grip with "DP63" on blade and "DP" on side of guard. 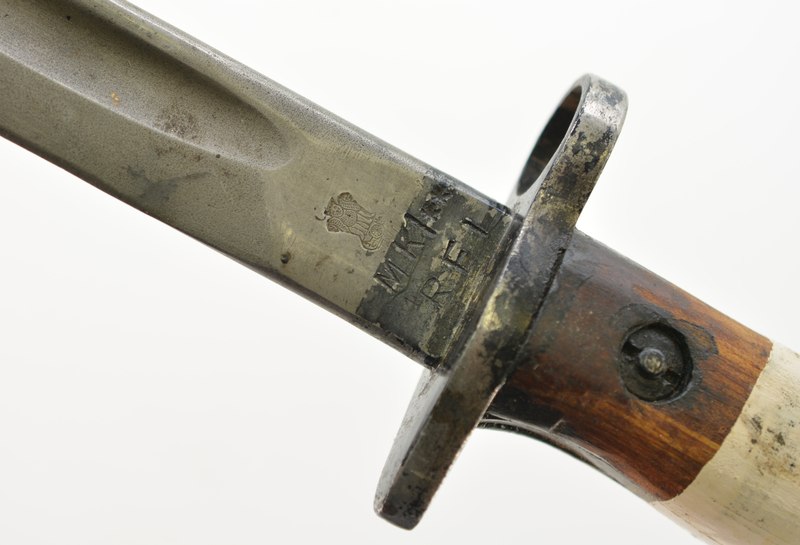 Pommel is stamped "103". Handle area retains 60% black paint finish, blade is a dull silver-grey patina. Grips show wear, fit well and are tight. A very good example of this bayonet that is not listed in Janzen's or Kiesling's Books.